MATEUR PHOTOGRAPHY is the most delightful pastime one can indulge in. Aside from the pleasure and amusement derived, it cultivates the artistic taste, the love of nature, is a source of instruction, and may be made to serve many useful purposes. The “Dexter” is small, neat and compact. Makes pictures 31⁄2×31⁄2inches square and will produce portraits, landscapes, groups, interiors or flashlights equally as well as many higher priced cameras. Will carry three double plate holders with a capacity of six dry plates. Each camera is covered with black morocco grain leather, also provided with a brilliant finder for snap shot work. Has a Bausch & Lomb single acromatic lens of wonderful depth and definition and a compound time and instantaneous shutter which is a marvel of ingenuity. 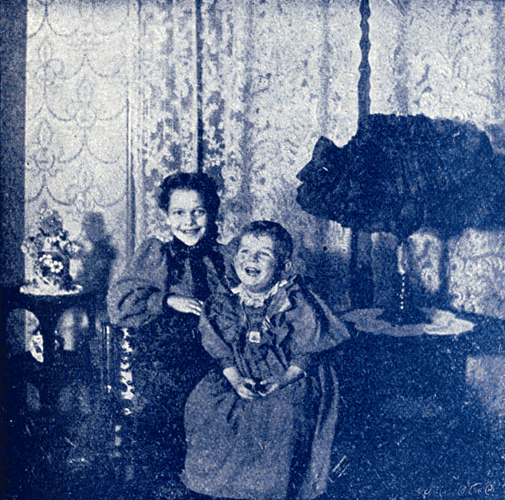 A separate button is provided for time and instantaneous work so that a twist of a button or pulling of a lever is not necessary as in most cameras. A tripod socket is also provided so that it can be used for hand or tripod work as desired. All complicated adjustments have been dispensed with so that the instrument can be manipulated with ease by the youngest amateur. Full and explicit instructions are sent with each camera. Send 5c stamps for sample picture and descriptive circulars. 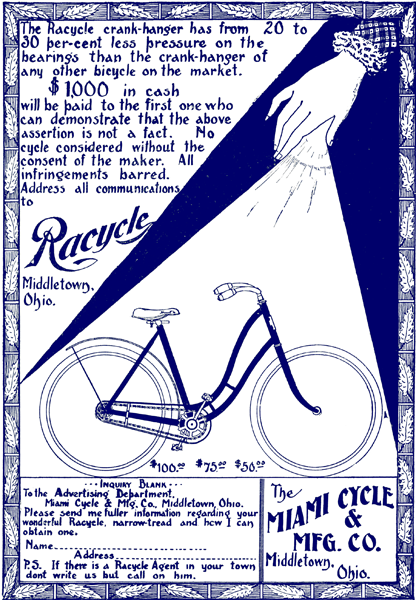 Look how far we have come since 1897! 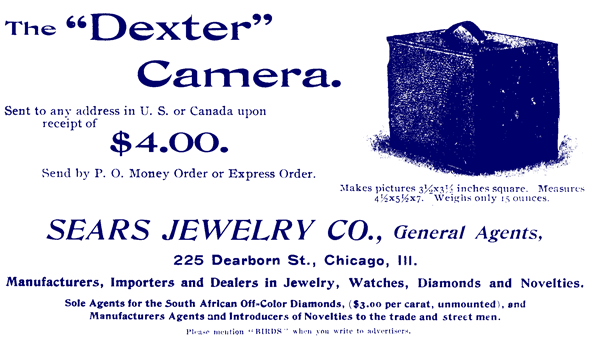 What a difference between the Dexter and our Digital Cameras of today. I have added some links that give some of this history. Could we not get the same reaction as the verse below if we look at a photo of ourselves and then put it away? 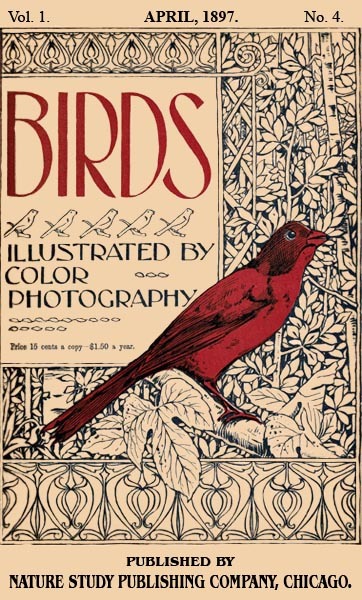 This entry was posted in Birds, Kid's Section and tagged Birds Illustrated by Color Photography, Birdwatching, Christian, Dexter Camera, From The Past, Home School, Kids, Photography, Vol 1 #4 April 1897, Youth. Bookmark the permalink.